Finding the perfect way to improve conversions and lead generation for your online business can be a difficult task. Moreover, if you are not focusing on improving your strategies and using the best tools available at hand, then you won’t be able to get the desired outcome. To improve your conversions and to make your online business grow, you must always focus on finding the best tools that will help you implement excellent strategies. The use of best WordPress newsletter popup plugins can be the perfect way to get started. Below is the list of the best popup plugins that you should consider using for your WordPress Website. 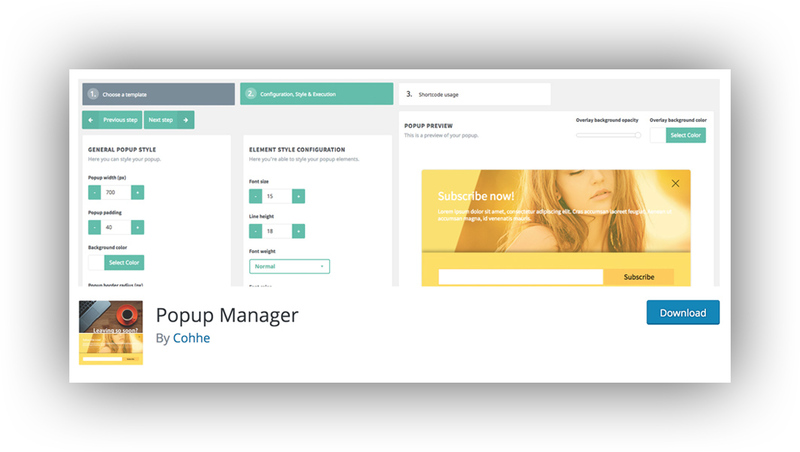 Using Popup Manager Plugin is easy, and it can be the excellent choice for you to implement your marketing strategy. You can create multiple popups, and you can use them on various pages. Moreover, you will be able to get various popup themes that you can use for creating popups. You can easily customise the popup by changing the size, colour, background image, and multiple other settings. Once you have downloaded and activated the Popup manage plugin, you won’t face any hassle while using it. Here is another excellent WordPress newsletter signup popup plugin that you can use to implement your marketing strategy. With this particular plugin, you will be able to get 14 different effects including swing, bounce, pulse, shake and many more. You can choose from 6 different themes as well. It will also give you multiple customising options as well so you don’t have to face any hassle while using this specific plugin. Using this plugin can help you to easily build an email list and gather more subscribers using this excellent plugin. 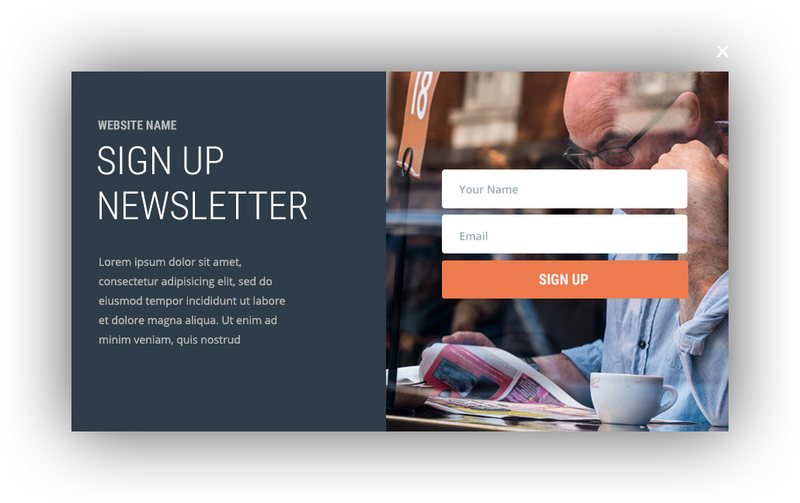 With this newsletter popup plugin, you will be able to get six fixed designs for opt-in form, and you can choose the one that suits you better. More importantly, it will give you multiple customising options, and you can easily customise the display by changing font sizes, colours, background and much more. You don’t have to face any issues while using this plugin and you can just insert a popup into pages using the shortcode. PopupAlly Plugin is another fine option for you to improve your email marketing strategies. It will help you capture subscribers, and you will be able to get the desired outcome. With this WordPress email subscription popup plugin, you will be able to get the desired results. One of the great things about this Popup Ally plugin is that it has a free and pro versions and you can select the one according to your requirements. The plugin is highly responsive, and you can insert the popup anywhere you want in your website. Moreover, it gives you multiple customising options so you can tailor it down to your specific requirements. If you are using this specific popup plugin, then you will be able to get multiple options to improve your subscription invitation process. You can create a perfect popup message within minutes, and you don’t have to face any problems while using this specific plugin. 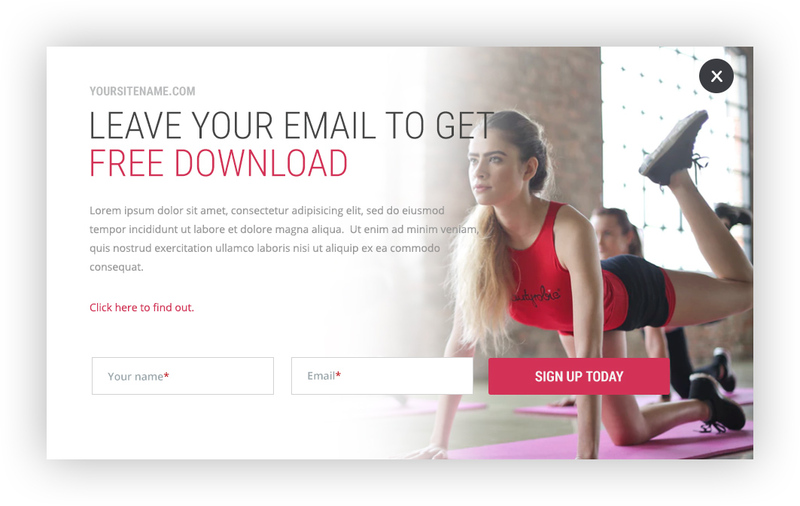 This newsletter popup WordPress plugin will provide you with 5 different themes that you can use to create a perfect popup message. You can make changes to customise the popup by changing mask and border colours. It is highly responsive, and it will work on all devices. Bloom is one of the best WordPress newsletter popup plugins that you can find out there. It has all the amazing options and gives you premium features. It is straightforward to use and highly customizable. Bloom can be customized according to your requirements, and you can insert it anywhere on your website. You can quickly achieve more email subscribers and promote highly targeted content. You will receive six different display types with this specific popup WordPress plugin. You can use different popup styles using this plugin, and it will provide you with multiple options for displaying pop-ups. Hustle is another excellent option for you if you are searching for the best popup newsletter plugin for your WordPress website. This WordPress email subscriber popup plugin will provide you with multiple customising options, and you don’t have to face any problem while using this specific plugin. You can receive highly targeted display settings, and you can grow your email list with the perfect representation. It will give you four default layouts, and it is highly responsive. Newsletter is one of the best and popular free WordPress plugin out there, and it will give you all the fantastic options for improving your marketing strategy. It has everything you need to create a fantastic email subscriber popup. It will help you send and track emails, and you will be able to use multiple features of this plugin. This plugin will provide you out of the box solution, and you can also get support from the author of the plugin. There are also free extensions available for this plugin. MailOptin is another fine choice for you if you want to grow your email subscriber list. This plugin has all the unique features that will help you create an amazing marketing strategy for your online business. You can use this plugin to create popups and display them anywhere on your website. You can also test drive the plugin to get a better idea of how it works. You can build a complete popup with this plugin, and you will be able to get multiple features including lightbox/popup opt-in forms, widget optin forms, calls to action and much more. There are numerous customising options available when you are using this newsletter popup WordPress plugin. This specific plugin is also an excellent choice, and you can efficiently use this plugin for your marketing and lead generation process. You can quickly create a lightbox with the information you want to put in, and you can customise the popups as well. You can display on any page without any hassle. The plugin will provide you with 69 mobile friendly popup templates, and you can use different types of popups on your website using this specific plugin. Selection of the best popup email subscriber plugin depends on your business requirements. To make a better impression, you must consider using lightweight and hassle-free popup on your website. You can compare features and test demos to make a final decision.